Kalwood Farms has been producing quality cherries and apples for over 50 years, operating 85 acres of orchard on the shores of Kalamalka Lake. 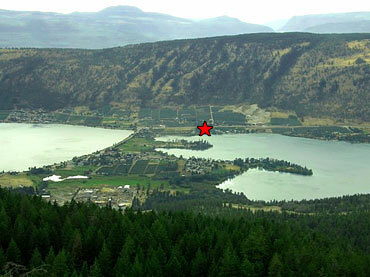 We are located between Kalamalka and Wood Lakes just north of the Kelowna Airport. Click on one of the images below to learn more! We hope you enjoy your visit to our family run orchard and we look forward to hearing from you!